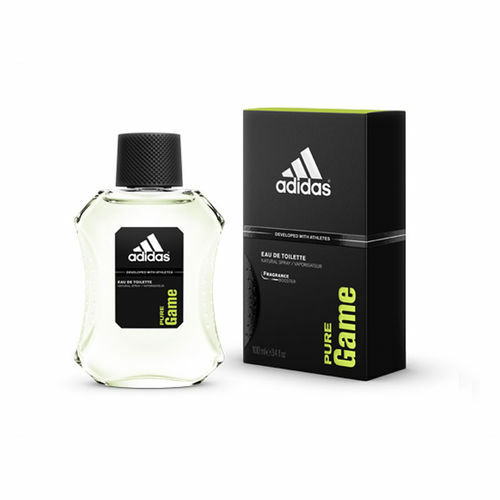 Adidas Eau De Toilette Pure Game is a woody, spicy fragrance for everyday wear. This long lasting fragrance is inspired by men who live their life to the fullest with confidence. It gives off a strong woody fragrance that has top notes of Grapefruit, Mandarin Orange, Basil and Pepper with middle notes of Lavender, Guaiac Wood and Cypress and base notes of Sandalwood, Patchouli, Incense and Tonka Bean that make it an fresh, spicy fragrance. Has a longlasting, signature fragrance.